No, parents are not being pushed out of Scouting. They are as essential as ever from Cubs all the way up to Venturing. What’s being changed is the ScoutParent designation, a pseudo-registered position that’s been with us for several years in an effort to involve more parents in the Scouting program. Originally established in 2007, the BSA defines a “ScoutParent” as a parent or adult mentor of a Scout who enthusiastically participates with their Scout and also helps other volunteers to provide the best quality program experience to all youth in every unit. The ScoutParents mission has been to develop and implement methods which encourage and empower Scouting participants to help maximize the number of dedicated Scouting youth and parents and mentors as dedicated Scouting volunteers who participate with their Scouts. The need for parents to become involved in Scouting has not disappeared. Perhaps, however, because of the recent push to ensure that all registered leaders follow BSA’s guidelines by being trained in youth protection, the actual roster position of ScoutParent is being eliminated effective July 1st. Designation as a ScoutParent involved no training, fees, or anything more than agreeing to be an active ScoutParent. There is also a registered unit volunteer position of ScoutParents Coordinator, also a fee-free position. The ScoutParents Coordinator’s job will be known as the parent coordinator. It will continue to be a registered position, requiring youth protection training. Current ScoutParents who wish to remain active can register as a Unit Scouter Reserve, position code 91U. 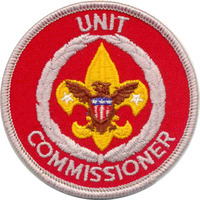 This is similar to the Unit College Scouter Reserve in that it allows an adult who has no immediate specific leadership role to be a registered adult member. These adults can support the unit in various ways and can be on “standby” in case they are needed to fill roles on the troop or pack committee. As with the college position, the Unit Scouter Reserve is an actual BSA registration requiring the annual registration fee to be paid. How best to use these helpers? The parent coordinator can continue to be an excellent resource for getting to know the adults in a unit and for recruiting them for specific jobs. If the unit leader or committee chair has a job that needs to be filled, the parent coordinator can be a key player in recommending individuals. The coordinator can assign parents to do specific things that need doing, handle communication about the program with unit parents, conduct orientation sessions for families new to the unit or to Scouting, and answer questions about the program. Adults in the reserve can provide general support through their involvement, talking with other parents and providing fellowship and encouragement for the boys and families in the unit. They can also help or shadow other registered leaders in many ways, such as helping the committee advancement coordinator, equipment coordinator or outdoor coordinator. We are told that in the near future, the unit’s top leaders will be able to use our unit dashboard within the new MyScouting Tools system to make changes to our unit adult positions without the need for them to complete a new adult registration form and submit it to our council registrar. In the meantime, adults who wish to register as a Unit Scouter Reserve should complete a new application showing position code 91U, complete online youth protection training using their BSA person ID number, and attach the registration fee for the remainder of the unit’s charter year. Even though the ScoutParents position is coming to an end, the initiative to involve parents in Scouting continues. Be sure to inform your parents of this exciting new opportunity.